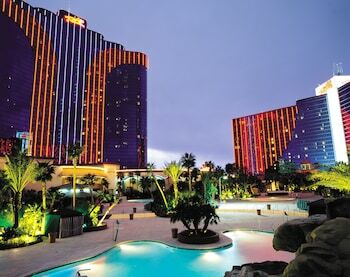 Flights To Las Vegas - 2019 Cheapest Las Vegas (LAS) Flights From AU$191! Tue., 11 Jun. - Wed., 3 Jul. Ready to party? Las Vegas flights from lastminute.com.au land smack-dab in the middle of the action. Before you know it, you’ll be sitting poolside outside replicas of famous landmarks or blowing on a set of dice in your favourite casino. Book your flight to Las Vegas on lastminute.com.au right now! The canals of Venice and pyramids of Egypt await…sort of. Question : What is the cheapest flight to Las Vegas? 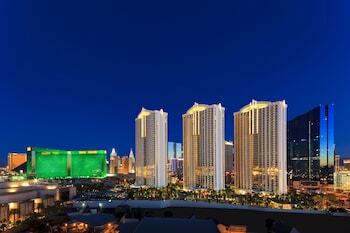 Answer : We offer plenty of flight options to Las Vegas starting at AU$191. Lastminute.com.au understands that you're a curious cat, with some questions about your travel options. 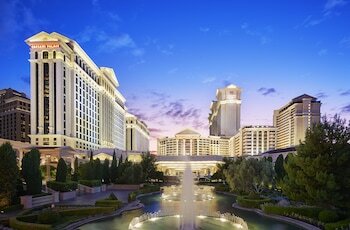 So we have some more helpful details about airport options, top hotels, and the most popular airlines flying to Las Vegas. Check below to get excited about your trip! Question : What airlines fly to Las Vegas the most? 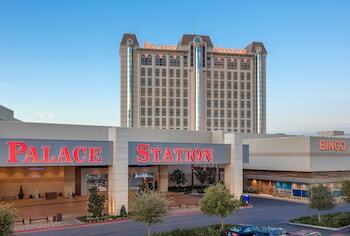 Answer : Each week we have flight options to Las Vegas. Knowing which airlines offer the most flights per week can help you find the cheapest and most reliable airline options - who doesn't want that? Especially when you can score a cheap flight to Las Vegas for just AU$191 right now! These are the airlines that have the most flights per week to Las Vegas airports. 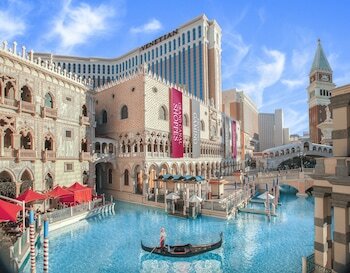 V Australia Airlines has 17 flights per week between Sydney and Las Vegas. Southwest Airlines has 766 flights per week between Washington D.C. and Las Vegas. Delta Air Lines has 376 flights per week between Atlanta and Las Vegas. Question : What hotels should I stay at in Las Vegas, and what are some great places to visit? Bellagio is a 5.00 star hotel. 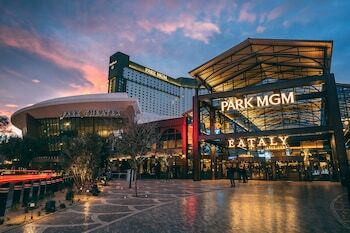 About 1,000 fountains dance to music and light in front of this European-style hotel set along the Las Vegas Strip, next to CityCenter and a tram ride away from Crystals Retail & Entertainment. 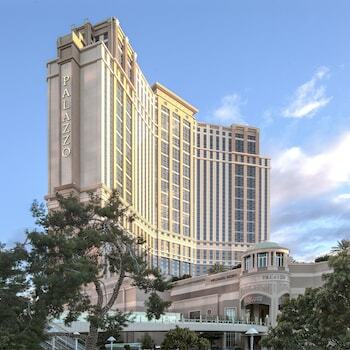 The Venetian Resort Hotel & Casino is a 5.00 star hotel. 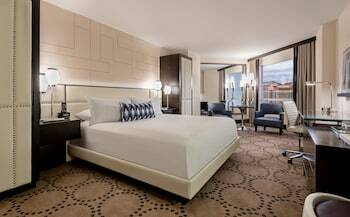 This all-suite resort and casino on the Las Vegas Strip is a short drive from Fashion Show Mall, the convention center, Downtown, and McCarran Airport. 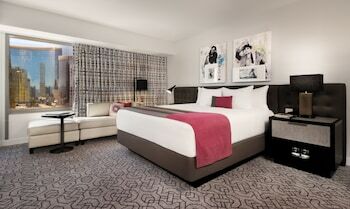 The Cosmopolitan Of Las Vegas is a 5.00 star hotel. 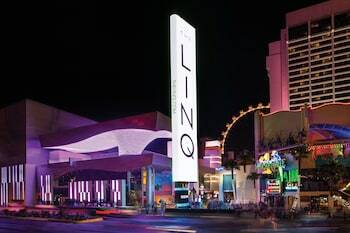 Set in the center of the Strip, this unique resort provides an enchanting destination amid the attractions of Las Vegas. 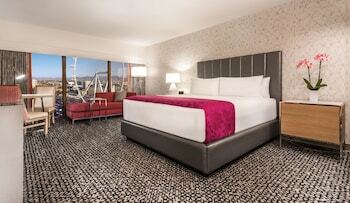 The Cosmopolitan of Las Vegas is less than 5 miles from McCarran International Airport. 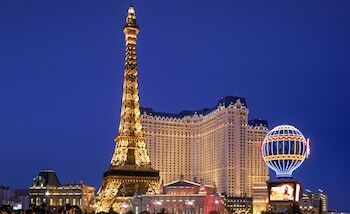 Question : What are the most popular points of interest to visit in Las Vegas? 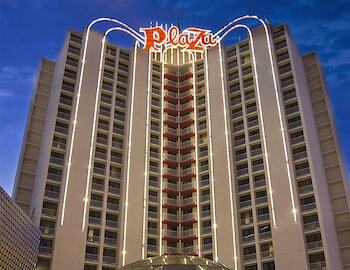 Answer : Las Vegas has 114 mind-blowingly cool sights and attractions you need to see! Make sure to check out Las Vegas Convention Center and Hoover Dam. 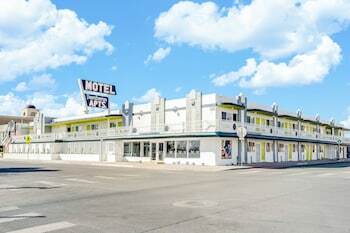 If those aren't quite your cup of tea, check out some other top spots like Las Vegas Motor Speedway and Sunset Park. Look out for our deals on rental cars below to make the most of your trip and visit as many of Las Vegas’s sights as possible! Question : What are the top deals on car rentals in Las Vegas?